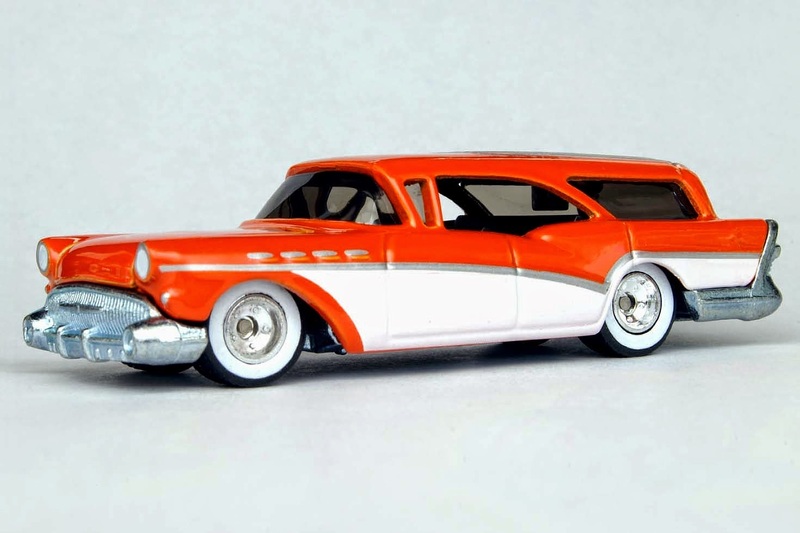 This Hot Wheels station wagon was based upon the 1957 Buick Century Caballero Estate Wagon and was first released as part of the Ultra Hots series, in 2007. 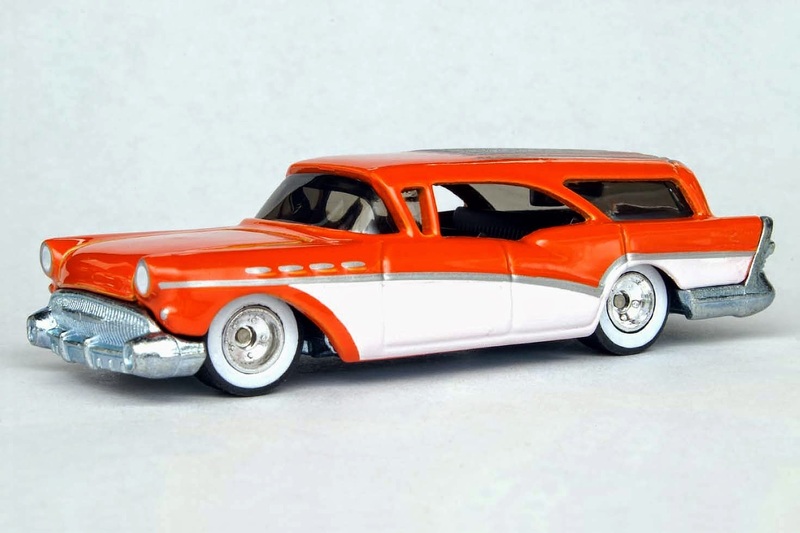 Regular readers of this blog will know of my lifelong fondness for station wagons, so it was a natural that I do a full spread on this excellent piece. 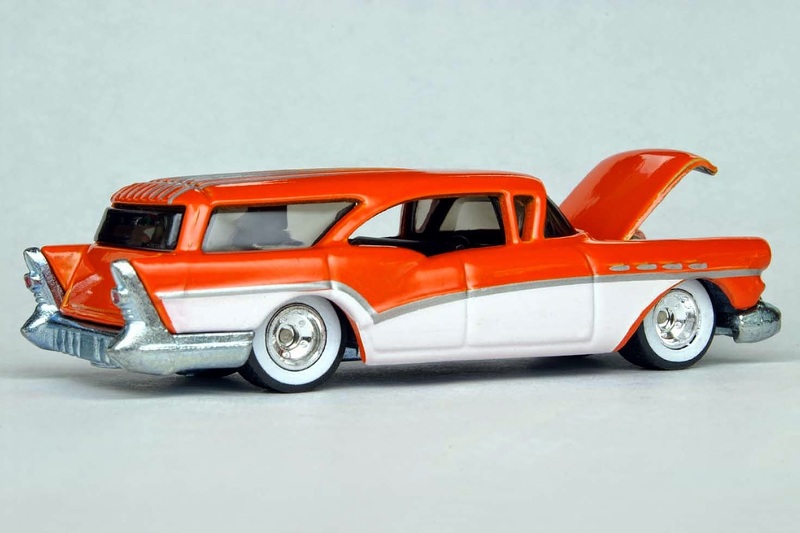 It features classic lines - my Dad had a 1956 Buick when I was little and the design from 1956 to 1957 was not changed much. They were big and roomy vehicles. 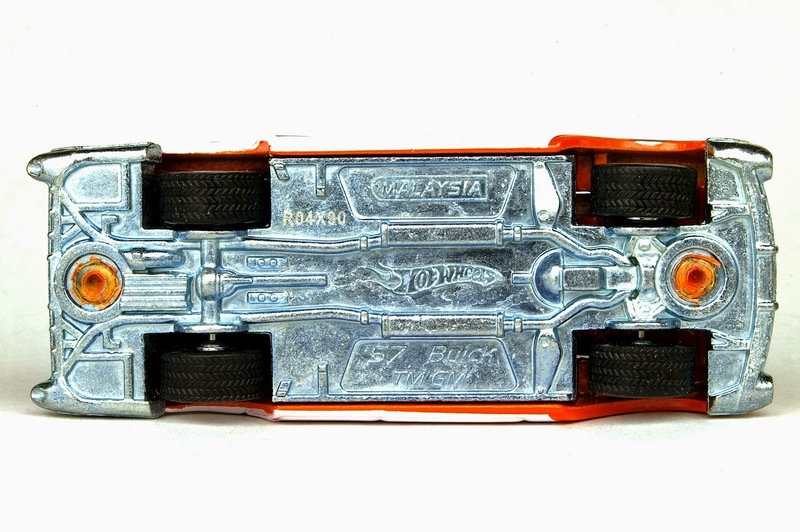 This model has an opening hood and a metal base, just like Hot Wheels of old. It even sports real rider tires! 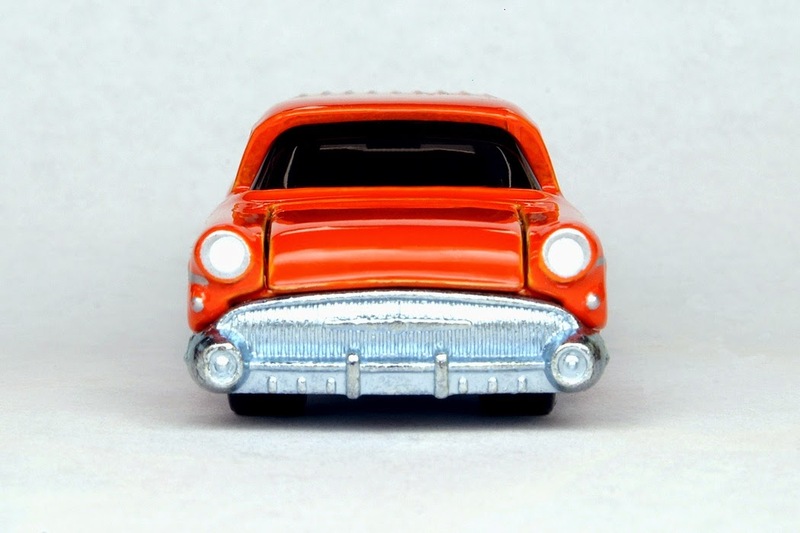 From the front, that classic Buick grill really stands out. 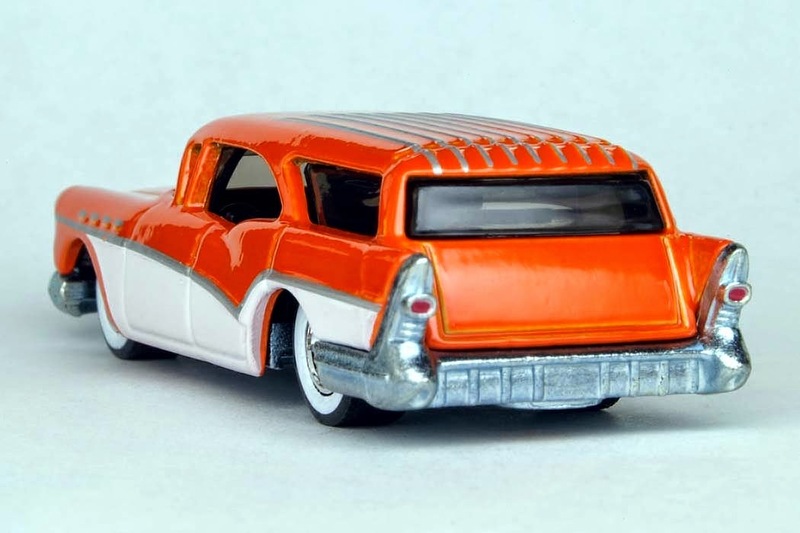 All in all, it's a piece that when I first saw it, just had to be added to my collection of 1:64 scale station wagons. Once again, it's that time of year which everybody groans about but can't do anything about - Winter. Yeah, baby it's cold outside, but who wants to get out in all that snow and ice? Around here in Southern Illinois, it certainly ain't no winter wonderland. To spotlight this season in diecast, I've chosen two cold-weather vehicles made by Maisto. You'll probably recognize both from having seen them at work around your area as well. Without further ado, here is a snowplow that keeps the roads scraped and the power company truck that keeps busy putting electric lines back up. Enjoy! 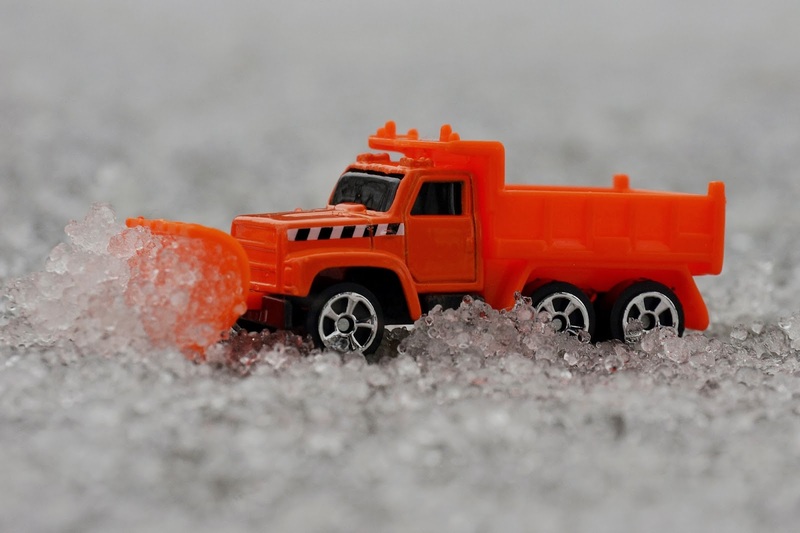 Maisto Snow Plow at work on an actual ice-covered road. 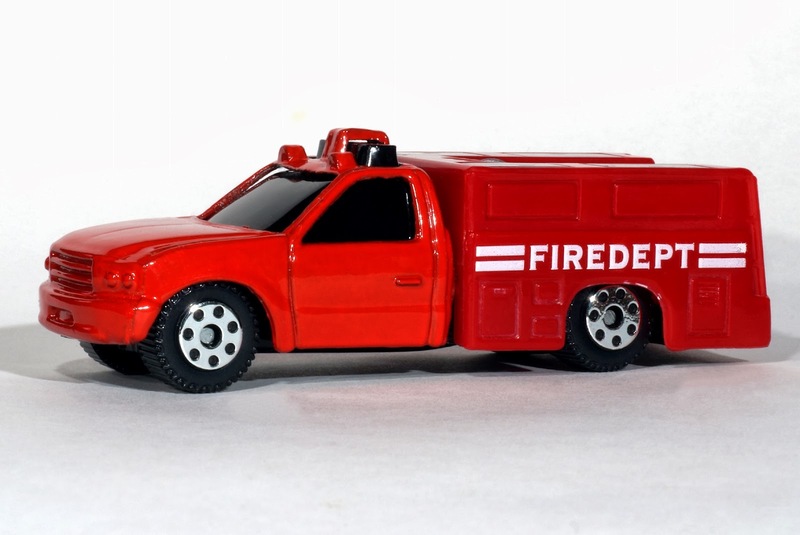 It says "Fire Department" on the side but it's called the "Maisto Utility Truck." Used by electric companies everywhere.